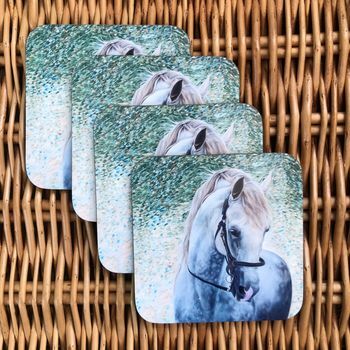 Pack of 4 wooden horse coasters featuring a print of a horse head painting by equestrian artist Caroline Towning. Amazing equestrian gift for any horse lover. These gorgeous wooden coasters look fabulous in any horse decor. Pack of 4 wooden coaster set. 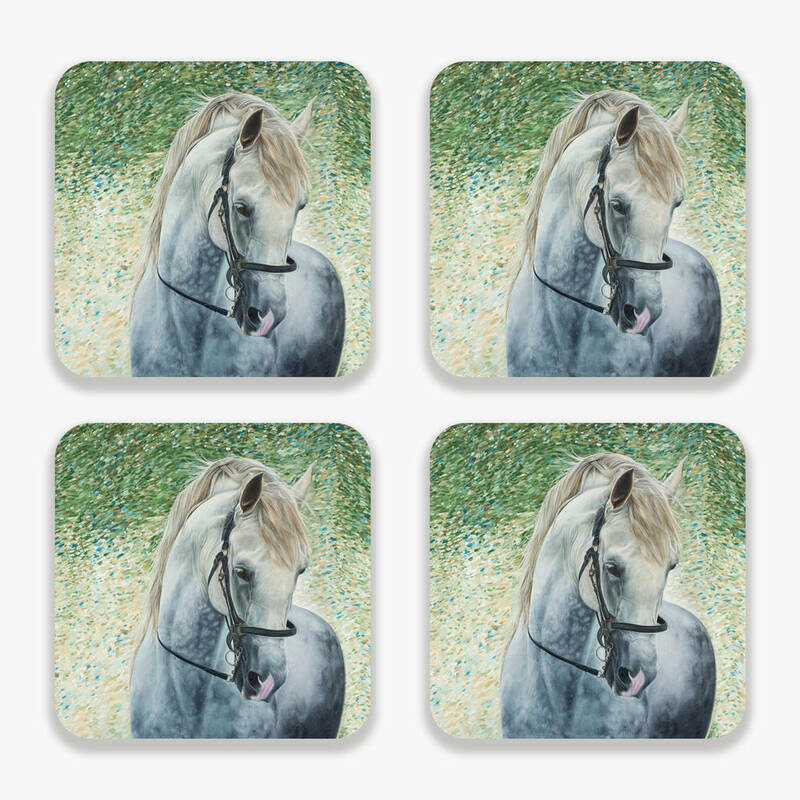 Horse decor coasters. A brilliant horse lover home gift. A housewarming or thoughtful gift. These hardboard coasters are made from wood. The coasters have rounded edges. They are lovely and glossy. The coasters are square measuring 90mm x90mm. This product should be wiped clean with a damp cloth damp cloth and avoid contact with harsh chemicals such as bleach. This product is dispatched to you by Caroline Towning Art | Horse Art.